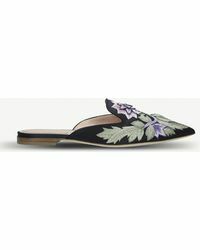 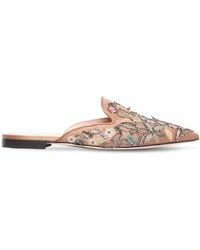 Alberta Ferretti flats are part of the selection of lines offered by this Italian fashion brand. 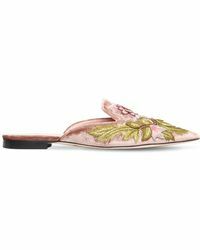 Ballet flats, sandals, flip-flops and ankle tie shoes are all part of the range with designs that incorporate numerous interesting design features, such as tassels, laser-cut leather and metallic embellishment. 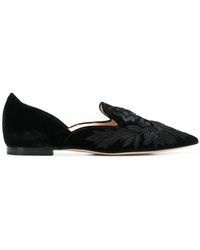 The range is part of the offering from the renowned label Alberta Ferretti, which is famous for its signature twisting, tucking, and draping techniques, some of which are hinted at in the shoe designs. 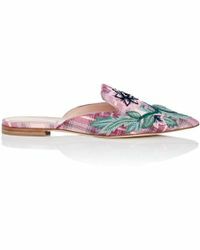 The range of flats is ideal for those who want shoes without heels that are still stylish and very far from frumpy.